In West Auckland, New Zealand at the Daktory, they had a problem when the club’s owner, Dakta Green, was rousted by the constabulary and given eight months for distribution of a Class C substance. With typical local ingenuity they have converted the warehouse to the local headquarters for NORML. 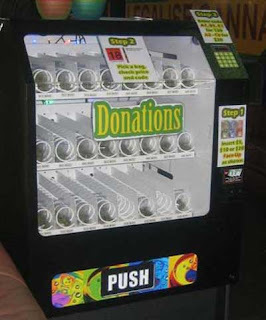 A reefer vending machine prevents the local police from charging anyone with sales and, while they lie in wait outside, as long as you use up what you get from the machine before you go home you are safe. Math + Discrimination = Efficiency!